The government of Venezuela recently announced the intended sale of its oil using the Petro cryptocurrency to circumvent U.S economic sanctions come 2019. According to Venezuela-based satellite tv, TeleSUR, Venezuelan President, Nicolas Maduro announced that country would create a basket of cryptocurrency for oil-backed state cryptocurrency, Petro. The sale of oil using Petro would commence in 2019. The President said that this move was to expand the economy and reduce the reliance on the U.S. dollar. Before the announcement, Maduro met with the Russian President, Vladimir Putin to discuss the commercialization of hydrocarbon resources. Both presidents also discussed ways to combat the fall in oil prices that has crippled the Venezuelan economy in recent years. President Maduro further stated that Russian was already trading in oil along with other products in yuan, and said that Venezuela was going to tow the same line by selling oil products in Petro. Maduro’s latest idea is a way diversify transactions in the international market by using the Petro coupled with a financial plan to circumvent U.S. sanctions. The President further said that it was essential to have an expansive and balance monetary system that sees the dollar as a currency of exchange but not a political system. 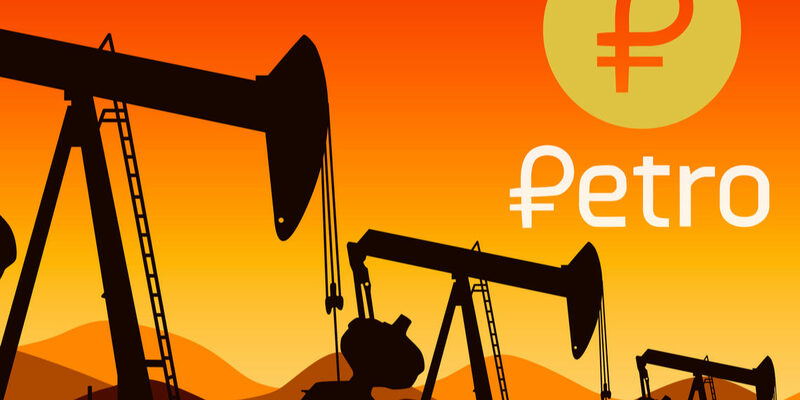 Petro is strengthened as a solid financial exchange instrument to consolidate our economic independence. The number one Venezuelan government official also called the Petro an “economic revolution” in a tweet posted recently. The president also voiced his support for the Organization of Petroleum Exporting Countries (OPEC) and said that the December 2016 Vienna agreement must be cut and extended. The country would preside at the 175th OPEC meeting. The Economic Revolution came with our cryptocurrency Petro, to break the economic siege imposed by imperialism. Nobody will stop us! Venezuela’s foray into the cryptocurrency space has seen lots of criticism and negativity. With the country’s plummeting economic crisis, many residents sought digital currency as a means of survival. However, with the criticisms surrounding its oil-backed state virtual currency, Petro, the government is determined to give the cryptocurrency an international status. Recently, the South American country announced its intention to use the Petro as a means of payment acceptable by members of OPEC. The government would present the proposal to the body in 2019. Also, the country’s Supreme Court of Justice recognized the oil-backed cryptocurrency as a legal means of payment. Before the ruling, Venezuela officially launched the “Petro coin” and stated that citizens could purchase the coins with fiat currency.